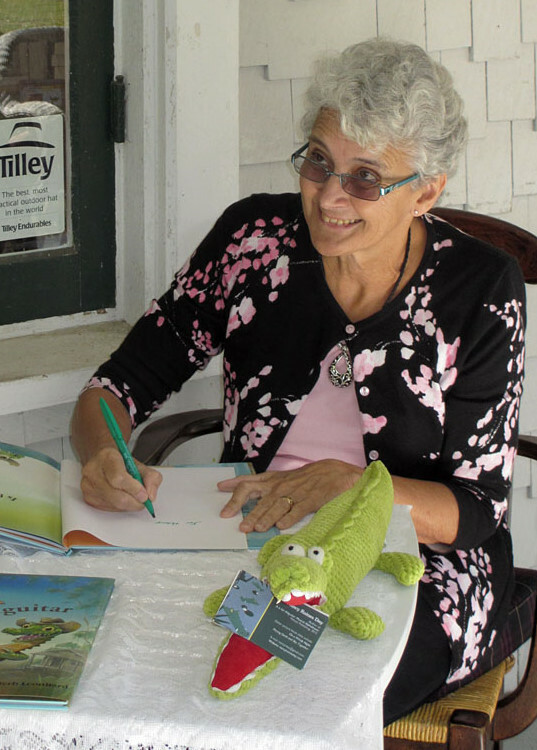 Nancy Raines Day: Interview and Picture Book Giveaway! I met author Nancy Day shortly after moving to Beaufort SC, when I visited her critique group in nearby Savannah. Nancy, who lives on St. Simon’s Island in Georgia, drove in once a month to meet there. We found our critiquing styles to be compatible and later we formed an online critique group, which I loved being in for over a year. 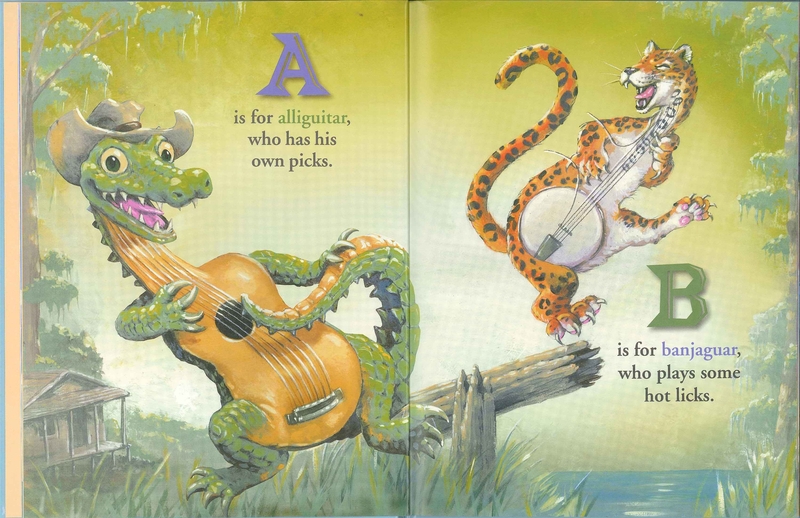 Nancy’s newest picture book, A is for Alliguitar is one of the manuscripts I saw as part of the group and it is so thrilling to see it now as a hardback book! 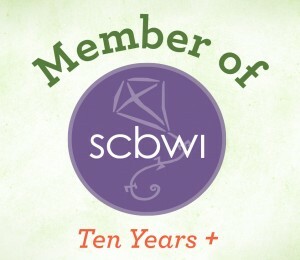 Nancy is also on SCBWI’s list of writers approved to offer professional critiques. Nancy is celebrating the release of A is for Alliguitar by offering a picture book to give away here! Details at the end of the post. Thanks so much for joining us today Nancy! I’ll start by asking you what I ask everyone. If you could give your middle school or high school self one piece of advice, what would it be? Actually, I got by those years by giving myself this advice at the time: Later, this (fill in your most recent embarrassing incident here) will make a really funny story. After attending multiple high school reunions, I have a couple of observations. One, good friends who once ditched you to hang out with cooler people will likely remember you fondly. Also, by and large, the people who were kind of nerdy back then have gone on to live more interesting lives than the ones in the “popular” crowd. You’ve published seven picture books so far. What’s the best piece of advice you can give aspiring writers? Persistence is the name of the game. When I started writing picture books, I told myself that most people never get published because they give up along the way—and I wouldn’t. Although I was tempted at one point during the ten years it took me to sell the first one, I kept going. And that, to borrow a line from Robert Frost, has made all the difference. So keep on keeping on! I wondered if I could come up with a combination like that for every letter of the alphabet. Mostly, I did it for my own entertainment. (Some people do crossword puzzles; I set myself these little challenges.) Then I wondered if I could put it all in rhyme, which–this time–came easily. It was a gift. It’s always a wonderful gift when things like that work out when writing. Who knew there was an instrument for every letter of the alpahbet? I’m sure some research was involved. 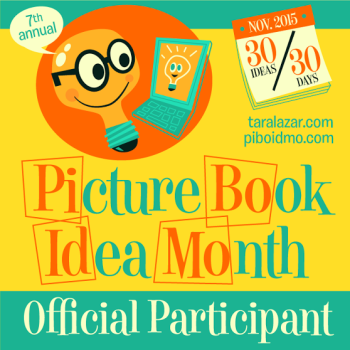 Can you tell us what kind of research goes into writing a picture book? Each of my books have called for different kinds of research. 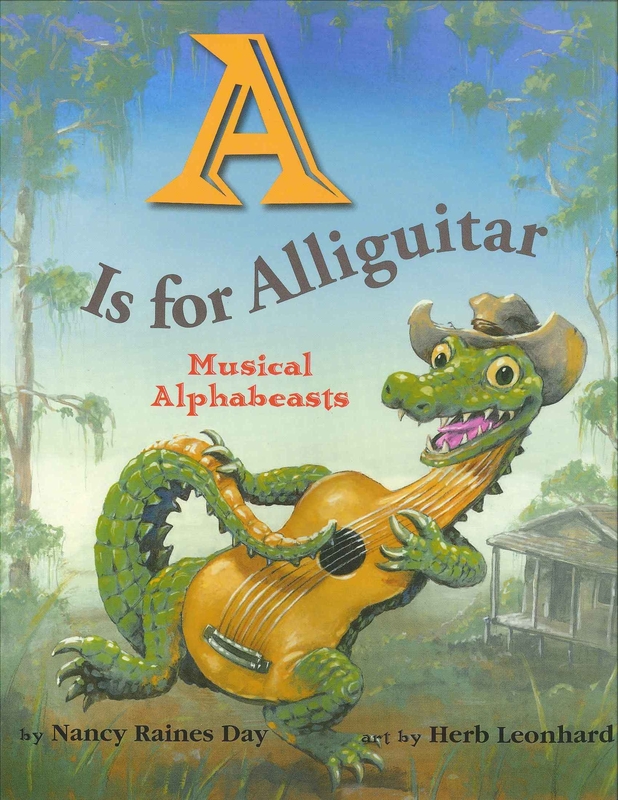 For A is for Alliguitar, Google was a big help in finding lists of animals and instruments that started with the right letter or sound. It also helped me come up with scenarios to pair the two musical alphabeasts in the same stanza and spread. For instance, googling ibis and jackal, I discovered the Egyptians had two gods, one with the head of an ibis and another with the head of a jackal. So the resourceful illustrator, Herb Leonhard, drew them next to a pyramid with alphabeast hieroglyphs below. For the Miami at Christmastime setting of Flamingo’s First Christmas, I watched videos of movies set there and talked to the children’s librarian at the Miami Public Library. I had already spent hours watching flamingos at my in-law’s Florida trailer park, but I read up on flamingos’ habits to describe how Flamingo moved, etc. For my first book, The Lion’s Whiskers: An Ethiopian Folktale, I couldn’t travel to Ethiopia, then in a civil war, but I did extensive library research trying to imagine myself there. After I had written the story, I had an Ethiopian who had moved to the U.S. read it. He couldn’t believe I hadn’t been there, so I must have done my homework well. So interesting. I’m finding that most nerdy chicks really enjoy research. What is another way that you like to flaunt your brain power? Other than writing picture books that critics call clever? I do like playing along with Jeopardy questions at home—and participating in trivia nights when I get a chance. I’m sure you would stomp me at any trivia game. What’s something you like to do that might be considered a tiny bit nerdy, but is actually really fun? Singing in my church choir. It’s something I’ve done since I was in middle school—and everywhere I’ve lived since then. I haven’t kept up with the viola—though I do occasionally take it out of mothballs and play just for fun. But singing in the choir is a good way to make music with other people, which helps me switch creative gears. Actually, everything I do is NERD-y, because those are my initials! You’re the only person I’ve interviewed who can say that Nancy! 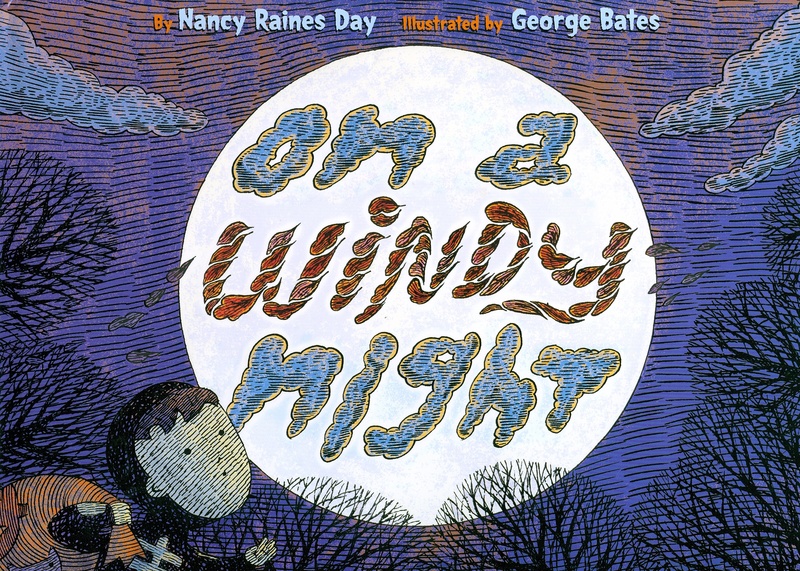 To find out more about Nancy, you can visit her website at http://nancyrainesday.com. You can also check out her Goodreads author profile, or read this interview. Nancy is giving away a copy of A is for Alliguitar! There is a downloadable Activity Guide HERE. You can find out more about this book HERE. Enter to win this book by leaving a comment! Contest will end on July 31 and a winner will be selected using Random.org. on August 1. Contest open to residents of US and Canada. This entry was posted in Contests and Giveaways, Nerdy Chick Interviews and tagged A is for Alliguitar, children's author interviews, nancy raines day, picture book interviews, picture books about animals, picture books about instruments, picture books about music, picture books for music teachers. I’ve always had a weakness for great picture books, and as a musician and reader I love the idea of this one. Sadly, my children are too old for picture books, but I have a brand-new niece who needs to own a copy! Her Daddy is a music teacher and her mother is a 1st grade teacher….their whole family will enjoy this one. Wow, I would so love to get a copy of A is for Alliguitar to see how you did it! Thanks for this wonderful, inspiring interview. I would encourage anyone who reads this blog to check out Nancy’s book! I bought several copies already, plus gave one to the music teacher at my local elementary because I was sure he could do a lot with it and his students would love it! Your book sounds like so much fun. I’d love a copy. Thanks for the inspiring interview. I loved reading about how you did your research for each book. I’m going to check them ALL out! What a terrific twist on the ever popular alphabet book! I think this would make a fantastic e-book with tiny little ‘tap and play’ musical features so children could hear the sound of each instrument. I’m so curious as to the instruments for Q, X and Z! Can’t wait to read this one. Thanks for sharing the tale of your inspiration on the dock! This sounds like a great book my son would enjoy. I really like the illustrations! Thanks everyone for leaving comments! The giveaway is now officially closed to more entries. The winner will be announced here in the comments before noon on August 1. Thanks again! Hi everyone! Using Random.org’s random number generator, I put in the number of comments here and it selected #2! So congratulations to Gail Hedrick! If you will contact me at my email address and leave your address there, I will get it to Nancy so she can mail you a copy of A is for Alliguitar! Thank you to everyone who entered! My email address: kamikinard (at) juno (dot) com. Woo! Woo! Thanks to you both-am going to email you right now. Can’t wait to get reading and be inspired!